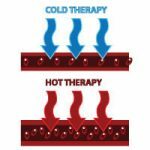 It’s best not to alternate cold and hot treatments, as this will only result in one treatment counteracting the other. The purpose of applying cold to an injury is to bring down inflammation and swelling and help control the pain. Applying cold causes the blood vessels to restrict. The purpose of applying heat is to relax the muscles and remove strain from the affected area. 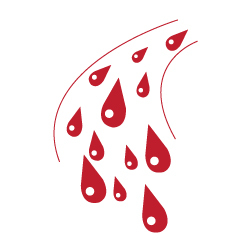 Applying heat opens your blood vessels and causes blood to pool at the surface of your skin. Alternating cold and hot treatments is not effective because your body never gets back to regular temperature. This means the treatments will just cancel each other out. Cold should be applied in the first 48 hours following an acute injury, or any time there is visible swelling and inflammation, or the pain is quite severe. Pain is a sign of internal inflammation that cannot be seen but is present, deep down in the soft tissue. 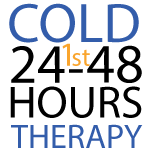 Cold should also be applied during any flare ups of pain, swelling and inflammation you experience during the recovery process. Unfortunately, re-injury is often an unavoidable part of the recovery process. Cold should be applied after any physical activity where you spent a lot of time on your feet or that involved use of the injured area (ex. played soccer, went for a walk, etc.). Apply cold for no longer than 20-30 minutes at a time throughout the day, taking at least a 20 minute break in between your cold treatments, so that your body can return to normal temperature before you begin the next treatment. It’s important to understand that while cold is effective for relief of pain, swelling and inflammation, it won’t actually do anything to heal the injury itself. Cold treats the symptoms, not the underlying injury. Heat should be applied once any visible swelling and inflammation is gone, and the pain has decreased. Heat should not be used in the first 48 hours after an acute injury, or if there is swelling and inflammation present. Many people find that using heat, such as a heating pad or hot compress, is very therapeutic and feels good when applied to an injury. Heat can also help to relax and loosen the muscles in the affected area. However, it’s important to understand that heat does not heal injuries. Heat causes blood to pool at the surface of the skin, making it hot to the touch. While heat can feel nice, it does not contribute to the healing of soft tissue injuries. When applying heat, always start at the lowest level and only increase the heat if you don’t feel any additional pain. Avoid overheating your tissue — only use heat for 20-30 minutes at a time. Let your body return to normal temperature before applying heat again. If you really want to heal your injury, you need to stimulate blood flow to the injured area. Improving blood flow circulation helps the body heal naturally. Instead of using heat, which does not work to heal soft tissue, we recommend using a BFST device to promote blood flow while you are at rest. There are BFST devices that are custom designed for the Foot, Ankle and Achilles. These devices work by bringing extra nutrients and oxygen to the injured area through the stimulation of blood flow. Instead of physical activity, which can cause further injury, you can increase your blood flow with BFST and rest your injury at the same time. BFST treatments are 20 minutes in length and should be done 3-4 times daily for best results. Space your BFST treatments out throughout the day to gain maximum benefit — the effects of each 20 minute treatment last for up to 4 hours, so there’s no need to do treatments back to back. A treatment first thing in the morning will act as a warm-up for your circulatory system and prep the affected area for the day ahead. A treatment before you go to bed at night will help you heal while you sleep. Try to do a treatment in the afternoon and a treatment in the evening as well, if you have time. 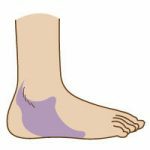 Just like with heat, BFST treatments should not be done until the swelling and inflammation have subsided in the area of injury, and the pain has decreased. Do a BFST treatment prior to any physical activity that involves use of the affected area, as this will help prevent re-injury.